I had decided not to post anymore bluebonnet pictures. Though I love them…there can come a point where its over-kill! 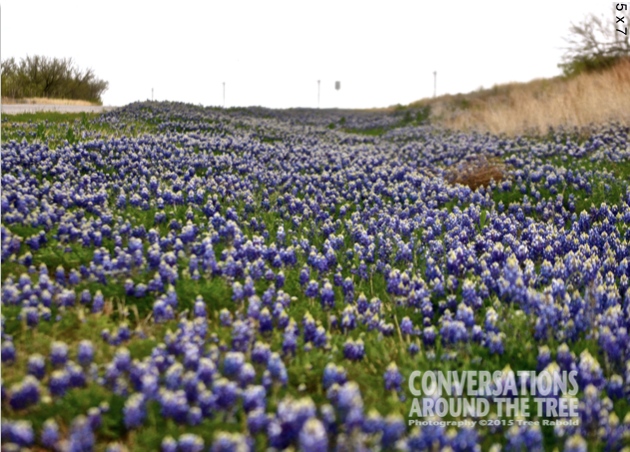 However, yesterday we saw this patch of bluebonnets that look like a river of flowers! So yes…here is another bluebonnet picture!! This entry was posted in Uncategorized and tagged 365 Days of photos, bluebonnets, wildflowers on April 13, 2015 by treerabold. Wow, what a cool shot! Bluebonnets are going crazy this spring. If you stop posting bluebonnets, I’ll start… 😀 We got lots of rain this weekend and more tonight. 🙂 Congrats 101!!! Yes…I think all the rain we had this winter is helping the bluebonnets multiply greatly!! Thanks on the congrats. Time is flying by! Lovely, Tree. I am so glad you decided to post it. It’s beautiful! They don’t last long, so we need to see them while we can! Thanks for sharing. I love it! Keep on posting them! The flowers are bluebonnets. They are the State Flower of Texas and grows primarily in Texas. They are a very beautiful flower and bloom in the month of April. All my four legged children are dogs! Wow – nice picture. I’m sure it looked breathtakingly beautiful!